AOC has announced a pair of FreeSync-enabled monitors designed to make gaming easier on the eyes. 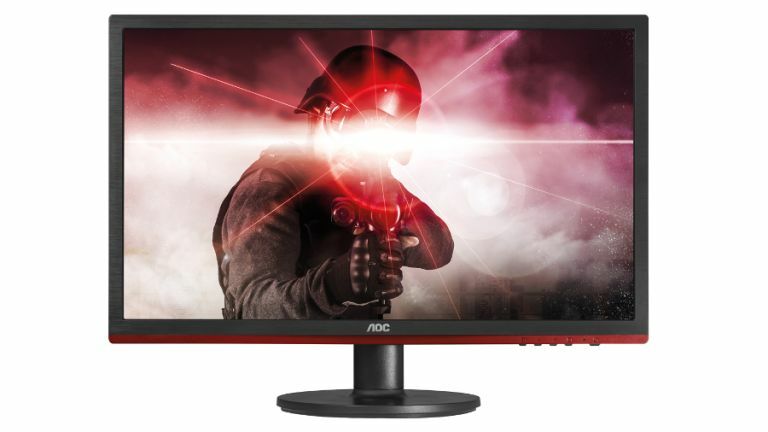 Both the AOC G2260VWQ6 and G2460VQ6, which are 21.5-inch and 24-inch monitors respectively, feature technology that reduces potentially harmful short-wavelength blue light waves. These 'anti-blue light' measures cut said dangerous light waves by over 90%, but because the monitor does this by shifting the wavelength peak of the blue light instead of simply blocking it out or filtering, the on-screen colours are unaffected, and there's no loss in image quality. So AOC's boffins claim anyway. The end result is a display that is much friendlier to your eyes, and these monitors also boast Flicker-free tech to reduce any flickering which is also fatiguing to those peepers. AMD's FreeSync, which aims to reduce stutter and tearing for a smoother gaming experience, coupled with a claimed 1ms response time also means that these displays should game pretty fluidly. Around the back you'll find the expected array of ports, namely D-Sub, HDMI, and a DisplayPort. Brightness is rated at 250 cd/m2, with a contrast ratio of 1000:1, and dynamic contrast of 20m:1 in the case of the smaller monitor, and 80m:1 for the larger display. Both these monitors run a resolution of 1920 x 1080 at 60Hz, and are priced to ensure that not only will damage to your retinas be avoided, but also your wallet. The AOC G2260VWQ6 and G2460VQ6 will be on shelves in September selling for £99 and £129 respectively.